WHAT REALLY CAUSES GLOBAL WARMING? 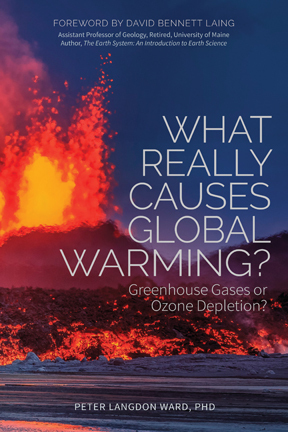 GREENHOUSE GASES OR OZONE DEPLETION? 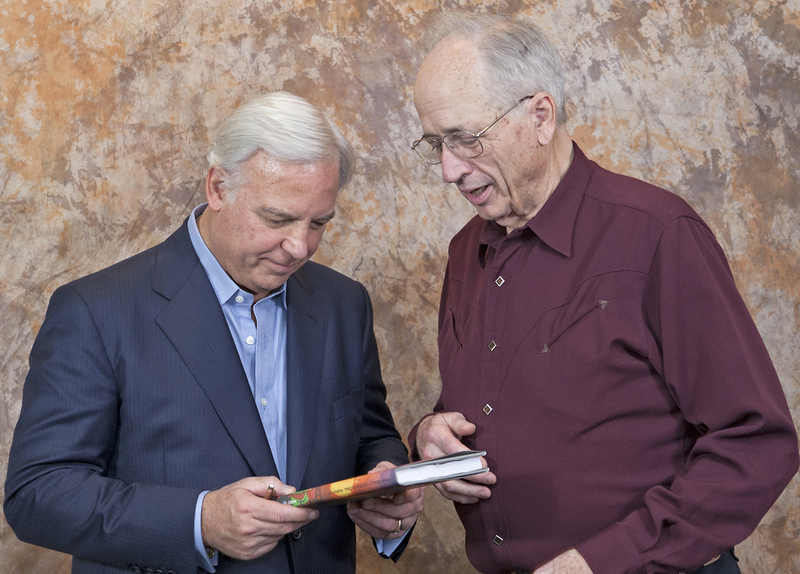 Peter Ward (right) discusses his new book with Jack Canfield, author of Chicken Soup for the Soul. Jack has 500 million non-fiction books in print. The ozone layer, 12 to 19 miles above Earth, protects life on Earth by absorbing harmful solar ultraviolet radiation. When the ozone layer is depleted, more ultraviolet-B radiation than usual reaches Earth, increasing our risk of sunburn and skin cancer and warming Earth. Observed changes in the thickness of the ozone layer explain observed changes in global and regional surface temperatures far more precisely, directly, and clearly than observed changes in concentrations of such greenhouse gases as water vapor, carbon dioxide, and methane. Global surface temperatures rose nearly 1oF from 1965 to 1998, just as chlorine from manufactured CFC gases depleted the ozone layer. Similarly throughout Earth history, effusive, basaltic, volcanic eruptions have emitted large quantities of chlorine and bromine, depleting the ozone layer and raising temperatures. Dr. Peter Langdon Ward worked 27 years with the United States Geological Survey, studying volcanoes, earthquakes, regional geology, plate tectonics, and paleoclimate. In 2006, while retired, he discovered an enigma in climate science, something that just didn’t make sense. Realizing that understanding this problem could be very important, he put most other things aside to focus his efforts full time on trying to understand how volcanoes could both cool and warm climate, what radiation really is, and how the structure of Earth’s atmosphere and the temperature of Earth’s surface are determined by how much solar radiation is absorbed in the stratosphere. Peter Ward has carefully reexamined each of the key assumptions made in developing greenhouse warming theory. With this well-documented and well-illustrated book, he invites you to join him on this fascinating quest. Join our mailing list to receive periodic updates of interest and to download another chapter of the book.